Where on the Mutipoint Workstations can I plug-in my web cam and flash disks? 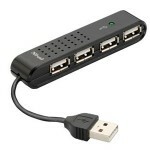 www.amestsantim.com » Where on the Mutipoint Workstations can I plug-in my web cam and flash disks? The multipoint stations have two USB ports, you can use a simple USB hub (see picture) to add more ports to your station so you can plug in devices such as web cam, flash disk etc.